Zion Williamson is one of the most-hyped NBA prospects in recent history, and for good reason. 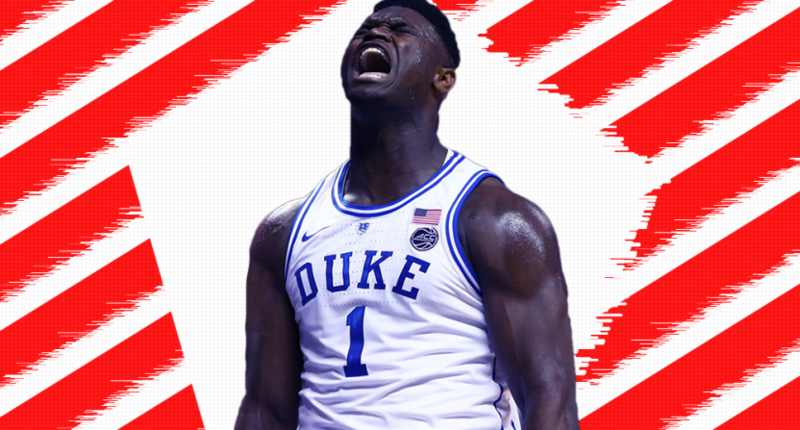 In his one season at Duke, the 6’7″ 287-pound forward showed off an incredibly unique skillset and bullied opponents on a regular basis. Williamson is explosive on the court, blessed with LeBron James-like athleticism, and can score in a variety of ways. In 33 games as a freshman, he averaged 22.6 points, 8.9 rebounds, and 1.8 blocks for the Blue Devils. Williamson is the surefire first overall pick in the upcoming NBA draft. But where is the most exciting — realistic — spot for him to land? Landing in New York is probably the most exciting potential destination for Williamson. Even with the Knicks currently in the mid-teens in wins this season, Williamson is the perfect player to revitalize a franchise capable of so much more. New York has been the most valuable team in the NBA four years running with a $4 billion evaluation by Forbes, despite having an atrocious on-court product. The Knicks’ roster currently lacks star talent, but with Williamson, tons of cap space, and some promising young players in forwards Mitchell Robinson and Kevin Knox, there’s a lot to build around. Williamson would help attract top free agents and could lead the next great team in New York. Adding a player with Williamson’s potential to a basketball-crazy market would be pure madness in the best way possible. Suddenly, the Knicks have their savior and franchise player, and become immediately relevant. The Hawks’ rebuild has been largely successful. Atlanta has had a great development season after landing power forward John Collins and point guard Trae Young in the draft in back-to-back years. Both players have shown immediate, real chemistry in their first season together, and have made Atlanta one of the most fun bad teams to watch. Adding Williamson to the mix would be incredibly fun. Young is one of the best passers in the league. Now, imagine him having the option to pass to Collins or Williamson on the fast break? It’s tantalizing to even think about it. The Hawks would have three of the most talented youngsters in the association, who all play different positions on the floor and get it done offensively. Atlanta might not be the sexiest destination, but on paper, it would be a great fit for Williamson. Williamson should be thrilled if he ends up with the Mavericks. Dallas struck gold in the 2018 draft by acquiring Luka Doncic in a trade with the Hawks. In his first season, Doncic has played above his rookie status, leading Dallas in scoring while wowing the rest of the league with his crafty shot-making and passing ability. The Mavericks took a low-cost, high-reward risk in trading for an injured Kristaps Porzingis, who’s one of the most talented big men in the NBA. Dallas has enough shooting. Adding Williamson would give them much-needed toughness and physicality they lack. The Duke product is one of the most explosive finishers ever for a prospect and would be a perfect fit with Doncic and Porzingis. They would make one hell of a trio to build around. It might be bad for Williamson’s immediate development to play alongside LeBron James, a superstar who has failed to get the best out of young players around him. But landing in L.A. would be exciting for numerous reasons. First and foremost, having arguably the best player in the NBA and the ‘next great one’ in Williamson on the court at the same time would be unbelievable for both the NBA and the Lakers. From a marketing perspective, it is hard to do better than that kind of tandem. Roster wise, Williamson would fit nicely with L.A.’s young core of forward Kyle Kuzma, point guard Lonzo Ball, and small forward Brandon Ingram. But the best-case scenario in L.A. would be getting Williamson while also acquiring Anthony Davis from the Pelicans. With James, Williamson, and Davis in the starting lineup, they would be immediate contenders and set up for both the present and future. The Bulls are a weird team. The management group seems largely chaotic and blinded by loyalty to each other, yet despite the flaws in the front office, Chicago has assembled a somewhat promising roster. Shooting guard Zach LaVine, small forward Otto Porter Jr., and power foward Lauri Markkanen are legitimately good players who the Bulls should continue to build around (rookie center Wendell Carter Jr. also looks like a quality piece). Adding Williamson to the mix would give Chicago a versatile lineup with some serious explosiveness. Williamson would open up the floor for Markkanen and would make it easier for his surrounding cast. Getting Williamson might create a logjam at the forward position, but honestly, who cares? Williamson is worth any roster problems or future trades that might need to happen to make everybody happy (you can also address other needs by trading from a logjam if necessary). He’d be the best player in Chicago since pre-injury Derrick Rose. The Suns are the least fun, most mistake-prone team in the NBA. However, they have tanked with a purpose and reaped the rewards of finishing at the bottom of the standings for four consecutive seasons. Phoenix has their franchise player in shooting guard Devin Booker, who’s one of the best pure shooters in the league. They also have 2018 first overall pick DeAndre Ayton manning the middle and Mikal Bridges at the three. For an organization that has consistently messed up lottery picks on impact power forwards, Williamson would be an immediate solution to stop the mediocrity. Booker, Williamson, and Ayton might not win a ton of games from the get-go, but they would definitely be fun to watch. Throw in a capable point guard and the Suns’ rebuild might not be as hopeless as it once seemed.